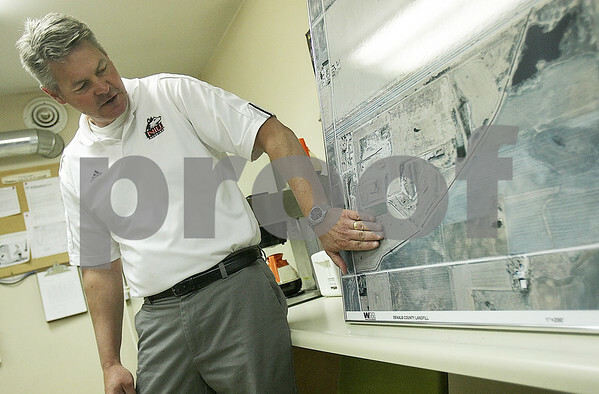 Danielle Guerra - dguerra@shawmedia.com Mike Hey, District Manager of Waste Management's DeKalb County Landfill, points to an area of land that will soon become a new cell of the landfill on Somonauk Rd. in Cortland. The landfill is being expanded because of the volumne of waste being taken in and the rain water run-off pond will be relocated near the intersection of Gurler and Somonauk Roads.